Craft Fair Selling – the next step? I’ve been thinking for a while about selling the things I make, but haven’t been brave enough to take the ‘big step’. Things like tax and insurance are scary enough let alone the regulations that you need to comply with. Even something like a ‘sock monkey’ can cause great headaches if you start to look into the plethora of guidance on the web! In April our local church is hosting its first craft fair and my daughters are encouraging me to apply for a stall. As I’m still not quite sure whether to grab this opportunity with both hands or run very fast the other way, I thought it might help to share some of the things that are buzzing through my head. What to sell, what to charge? – Visit a craft fair and you will see that beautiful bunting, lavender filled hearts and applique aprons adorn the tables, but what differentiates one seller from another? What is each stalls unique selling point? What makes it stand out from the competition? As a business you need to price your creativities to cover the costs of materials and overheads like stall hire as well as include a charge for labour….all without scaring off your buyers! So what quality products can you make that will sell well? No wonder patterns and make-it-yourself kits are popular! Where to sell? – Online, house parties, craft fairs, playschools, independent shops, or sidelines in tea rooms – as you can see I’ve had my thinking cap on! 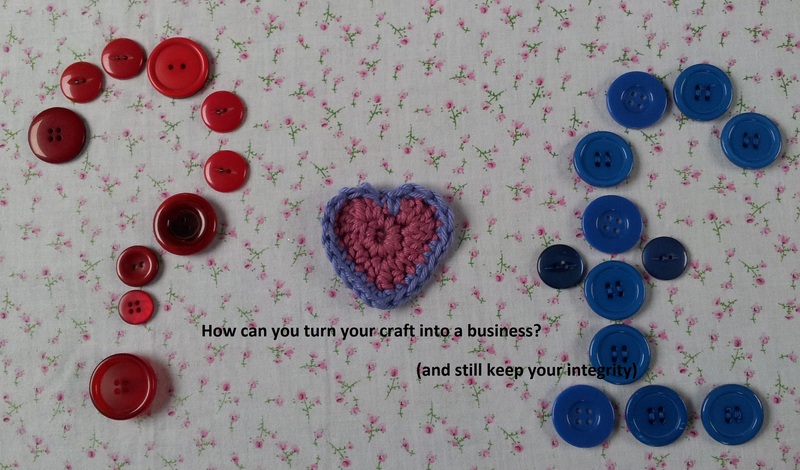 Whilst a craft fair seems like a good option to gain customer feedback, I’ve heard sales can be slow as us crafty folk like to visit for ideas and prefer to buy things like buttons, rather than the finished article. Labelling – During one of my ‘braver’ moments, I thought I would order some labels. The wording “The Stitch Sharer, Handmade in England” seemed simple enough ….. but what about something made on my trusty sewing machine? I’ve ended up going around in circles on this one! Is there a difference between a fabric being guided across the footplate of a sewing machine “by hand” and a jumper being created on hand-held knitting needles? Perhaps it would be easier to just have “The Stitch Sharer”, but then how do buyers know the piece is lovingly made by my own “fair-hands”! 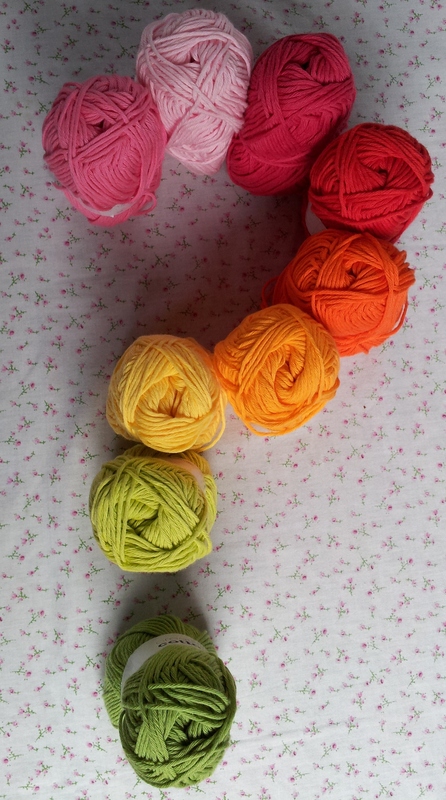 Whether you want to hear more about how my “selling” journey unfolds – if there’s enough interest perhaps I could develop a ‘craft business’ section on my blog! 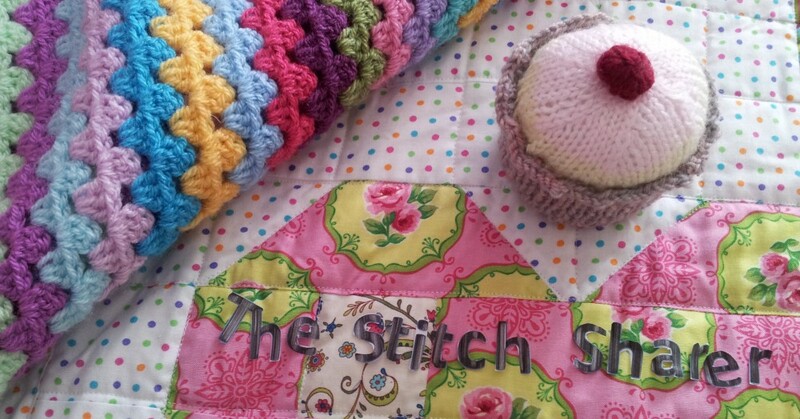 This entry was posted in Beginner, Business Musings, Crochet, How to guide, Knitting, Sewing, Stitching and tagged how to set up your own craft business, the stitch sharer, thestitchsharer, What to sell at craft fairs by thestitchsharer. Bookmark the permalink. That’s such great advice especially as talking to people is one of my most favourite things! I too am thinking about starting to sell at craft fairs; not so much as a business, just as an outlet for all my “creations” I think your blog is so interesting and helpful. I am way behind you in “blogging” etc but hope one day to achieve what you have. It’s really too bad that you don’t live close to where I live. There is something called the Craftcation Conference, which is geared toward crafty entrepreneurs. I went last year and am going again this year. They have workshops on pricing, using Etsy, setting up a website, setting up a craft fair booth, accounting, and a whole lot more stuff. It’s really cool. This is a great topic, I have done craft fairs, it is often very competitive, you need to make sure that what you are making is unique, it can be really disappointing to find that other peoples work is similar or cheaper than yours. Have you thought about a Folksy or Etsy account, you can do lots of product & price research before you start and the overheads aren’t too high. Interesting post (and motivating) It’s clear you’ve done your research.I think one of your other commenters made a good point about having a price range to suit everyone. When I go to craft fairs I usually end up buying smaller pieces and I usually buy for other people rather than myself. I know it sounds a bit cynical but is there a way you could tie your products into a festival/celebration and have a selection, maybe not all, of goods appropriate to that? Mother’s day? Spring? Best of luck with your endeavours, looking forward to reading about it. Thank you for your really helpful feedback. Will keep you posted! Developing an artistic brand is key. I have been in the process of trying to do this for a while. It is challenging but I am determined to do it. If a buyer can look at your work and recognize that it is distinctly “your work”, I think it would be easier to sell whatever item you choose to make. I think you most definitely can use handmade even if it’s on a sewing machine as it is still made by you and not on a factory production line. Good luck, and look forward to hearing about it. Label #1 you should go with. I’m so interested in your journey. I too have been thinking along the same lines about selling my wares! Firstly, I love label No.1, its gorgeous. It looks classy and tells me that what I am buying is a one-off. Yesterday, I bought the Feb issue of Craftseller and inside is a free magazine with pages of info from being your own boss, making money to networking. I’ve brought the copy into work with me to read in my lunch hour as its really interesting. So, if you havent got that, it may help answer a few questions. Good luck and I look forward to hearing about how you’re doing! How about selling something like little tapestry stuff? Or you could buy button blanks, and make teeny tiny pieces of tapestry, and make them into buttons, You don’t see many of them around. Then, you could try ideas that are useful for people to buy, like pincushions. I would love to hear more about your business. Go for it, we started last year doing just a few fairs, it is very gratifying when customers love what you do, although you have to be prepared for a lot of ”Oooo thats lovely!” with no intentions of buying anything. We have learnt most from other stall holders, one piece of advice that sticks with me is have something for everyone, lower priced items at the front and more expensive at the back, quite often selling lots of smaller items pays for the overheads. Good luck, and keep posting how you get on. A friend and I are also looking at selling some of our craft this year so this is a very timely post for me. Good luck and please do keep us posted. Of the two labels, I like the 1st one best for just about anything. It doesn’t say ‘hand stitched”, so IMO it’s fine for something you make with your personal sewing machine. To a lot of people handmade means, not mass produced. Whatever you decide, I wish you luck. It can be tough to put yourself and your creations out there. Being the artist and the customer service means having thick skin at times. It also means meeting some wonderful people and hearing a million compliments on your work. This is a great post. I have many of the same concerns and questions as you. I would also be interested in your ‘selling journey’ as I have dabbled in this area myself, with mixed results. Definitely interested in your “selling journey” having not yet gone there myself.